Fancy cocktail places in the ‘burgh are on the rise. 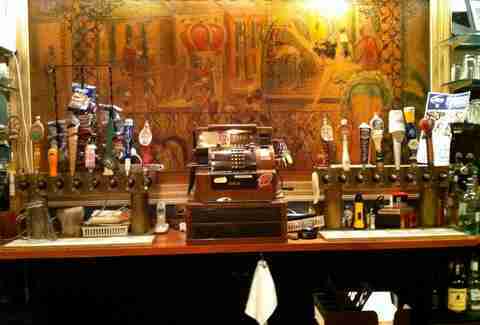 Which is fine and all, but sometimes you just want a cheap drink and an atmosphere to match. While sweeping changes in bar culture are hitting the city hard, it's still fairly easy to find a great and (let’s face it) dingy place to grab a beer and chill with friends. Maybe meet some characters here and there. 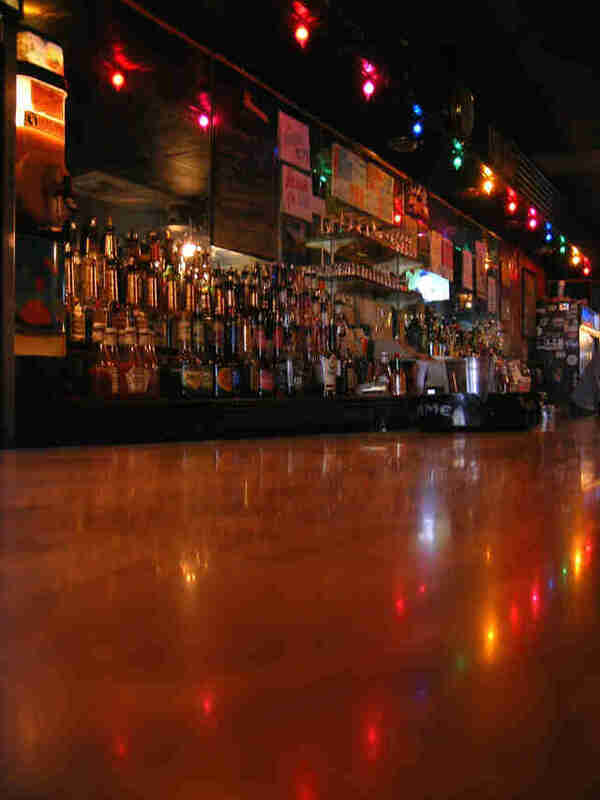 Here are a few of our favorite dive bars in town, and one for the willing traveler. “What’s the best dive ba -- ” “GOOSKI’S.” Gooski’s is always first when you ask anyone for the best dive bar here. And rightly so. 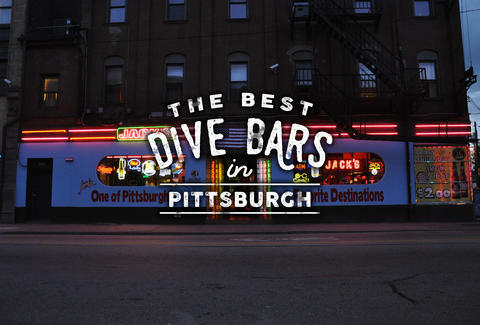 With a jukebox filled with hits and staff-curated playlists, graffitied walls, pool tables, solid and sarcastic bartenders, a long list of house rules (like "Know what you want; have your money ready; don’t make us kill you"), a good live music program, and beloved house pierogies and wings, Gooski’s is Pittsburgh's quintessential dive bar. Another Polish Hill charmer, the Rock Room is dark and smoky with a small, gather 'round bar to watch the big game with the other locals. It doesn’t pack the same hip punch as Gooski’s, but the ridiculously low-priced beers and food specials make this a great place to fuel up. And the open galley kitchen in the back of the front room makes some decent pierogies. Gummy worm shot pitchers, $2.50 draft specials, and cocktails served in mason jars: this is Hemingway’s. Located in the heart of the Oakland in the midst of the University of Pittsburgh, this is a popular spot with students (it's one of the best college bars in the country! ), and a great choice for a boozy lunch for working stiffs. Order an enormous cocktail and don’t be surprised to see plastic toys floating in your drink. Ernest himself would be glad to know such a fine diving establishment exists in his honor. If you blink walking down Copeland St in Shadyside, you will miss Le Mardi Gras. Open since 1954, this tiny, dark space is a holdout gem tucked away in the swanky neighborhood. Drinks here are always strong. If you can bear the smoky interior, order a Greyhound, made with a generous pour of vodka and fresh squeezed grapefruit juice. Many a patron has stumbled back down the stairs to the street after a night out. East Liberty is Pittsburgh's neighborhood that's undergone the most development in the past five years. 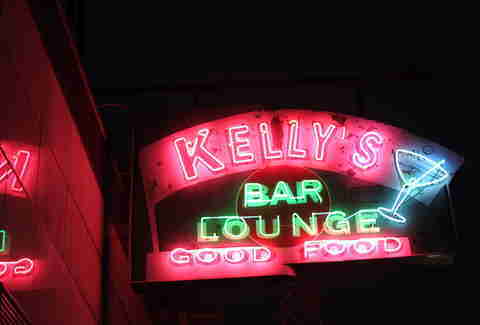 Kelly’s is one of the remaining relics that's (hopefully) here to stay. Red booths line the pink-hued room that fills up with hipsters on the weekends. An outdoor patio provides a nice hangout spot and a backyard haven for smokers in warmer months. Along with dirt-cheap drink specials, Kelly’s food menu is top-notch -- the mac and cheese, served piping hot with a burnt crust, is the stuff of legend. Jack’s Bar opens at 7am six days of the week and 9am on Sunday. So, there’s that. With a friendly atmosphere and Iron City specials on the reg, this is a Pittsburgh bar through and through. 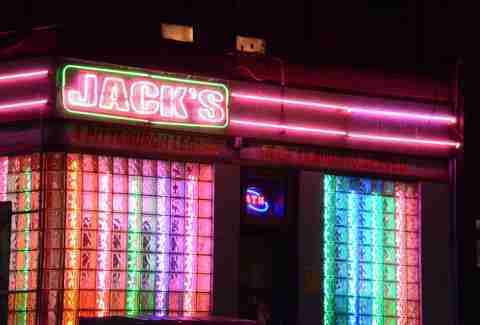 Or as Jack’s says: “The most really real bar.” Plus, you never know who you might run into -- Aaron Paul, Justin Long, and Amanda Seyfried?! Hambone’s is a no-nonsense neighborhood hang with a drop ceiling, bad lighting, and a selection of craft beers. A small bar area spills out into a bigger performance room that hosts stand-up comedy, open mics, game nights, and more. The tables look like something your grandma has in her basement, which makes the atmosphere all the better for watching hit-or-miss Pittsburgh comedy and eating surprisingly complex food like crab cake-stuffed haddock. Shot of vodka, then a shot of pickle juice. Sound good? Then you’ll love Sonny’s where the pickle shot is the pièce de résistance. Trivia, karaoke, and live music keep you entertained while downing $3 mystery beer specials. 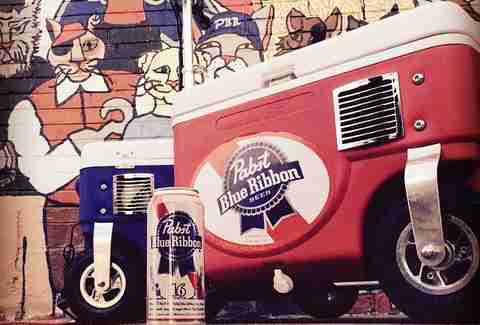 And for all you art lovers, a mural of cats drinking PBR adorns the outside, so you know exactly when you've reached your destination. It's a bit of a trek from the center of the city, but Joe’s in Ligonier is absolutely worth the day trip. 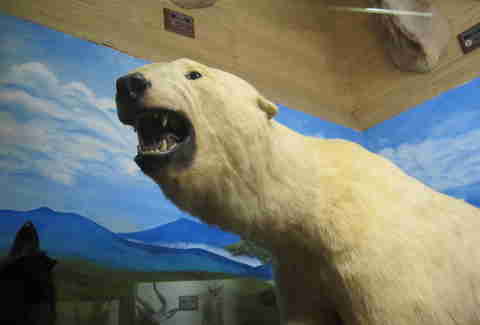 Quite possibly the craziest dive bar in the state, this two-floor tavern is filled to the brim with taxidermy. Elephants, lions, squirrels dressed like Robin Hood -- it's all here. Heads will turn when you walk in, but who cares? There are sights to be seen here, people! How often can you go on a boozy safari in western Pennsylvania? Laura Zorch once had three Fire Fly cocktails at Kelly's and... end scene. Follow her and her pals at @eatpgh.